"Hartfield House will capture your heart and you'll never want to leave." Hartfield House provides the space, privacy, the peace and the tranquility for you to truly enjoy your holiday. It has the character of an historic building but the facilities of good quality accommodation. 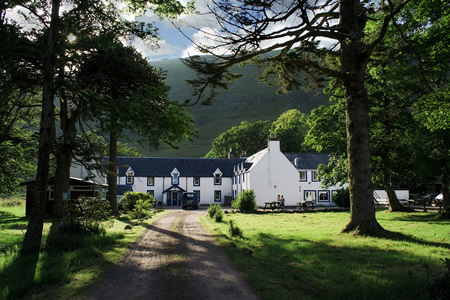 Due to its past as an outdoor centre, Hartfield House has a lot more to offer than your average hostel. Hartfield House comprises: the old Hunting Lodge; the Bunkhouse, separate self-contained accommodation; the studio, and various outbuildings. There are substantial grounds and ample parking. Facilities include a drying room, laundry, lockers, bike store, workshop space, small shop selling essentials, a conference room, large function hall, and free wi-fi access throughout the building. The Hunting Lodge comprises 31 beds in single, double, triple and dorm rooms. All bedrooms are newly refurbished to a high standard and full bedding is provided. 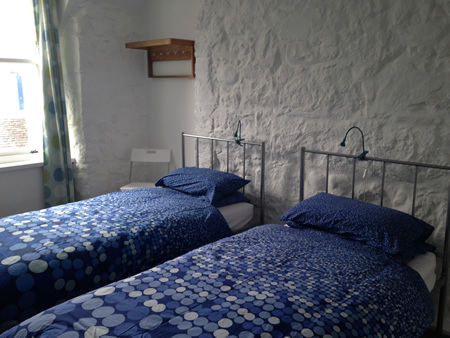 There are two shower blocks (male and female), as well as additional toilet and shower facilities on the first floor. Towels can be hired for a small fee. 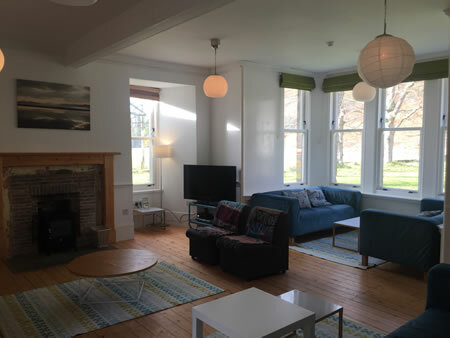 There is a large dining room and self-catering kitchen with good storage facilities, as well as a separate utility room for washing dishes and recycling food waste. The hunting lodge has a large communal lounge, a conference/function room, a covered area for bikes, laundry, and a drying room for wet kit. The Bunkhouse is a separate self-contained building that sleeps 19 people in a mix of single, twin and triple rooms, as well as one dorm. 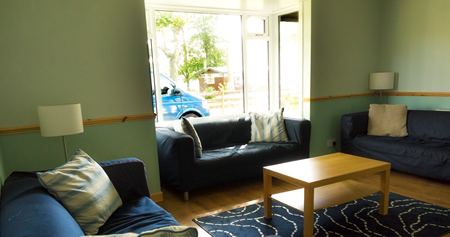 There is a communal lounge, self-catering kitchen/dining room, and shower facilities. This building can be booked individually or hired exclusively for groups. Hartfield benefits from a field studies classroom/studio for yoga which is separate to the main building under the trees. 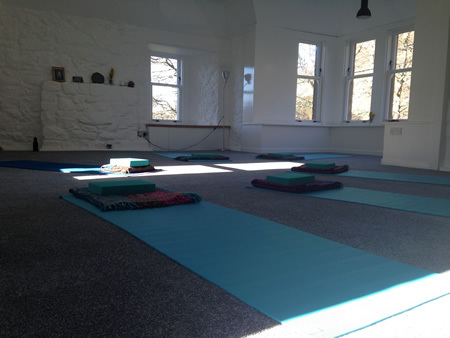 There is a conference/function room in the main building, which seats approximately 20 people, and is also ideal as a yoga studio. There are many outbuildings at Hartfield, some of which can be used to store kit or for tinkering on bikes. There is also a covered bike area to ensure no weather damage.